Geltmore has intentionally stayed lean, growing only as needed which allows us to cultivate a culture that encourages out of the box thinking and focuses on top quality talent. We pride ourselves in creating extraordinary assets in top locations through-out the Southwest. A veteran of four decades in the business, Paul lives and breathes real estate. It is truly his passion and avocation as he has never approached one day in the business as a job. He has more experience in the business than any other development professional in New Mexico. Never one to be constrained by boundaries, he has been involved in development throughout the southwest and was actively involved in real estate development in Asia from 2002-2010 with a very successful self-storage business in Singapore and four years (2004-2008) in China seeking retail opportunities. His legacy of development projects includes virtually every type of real estate activity and as well as ownership in several different operating companies that are real estate industry related. Additionally, Paul is an active investor in a portfolio of startup opportunities in New Mexico in an effort to help kick start the private sector Economy. When not working on the day to day development operations, Paul devotes a large amount of time to serving in various leadership roles for national and local organizations that benefit both the real estate industry and the community in which he has worked. 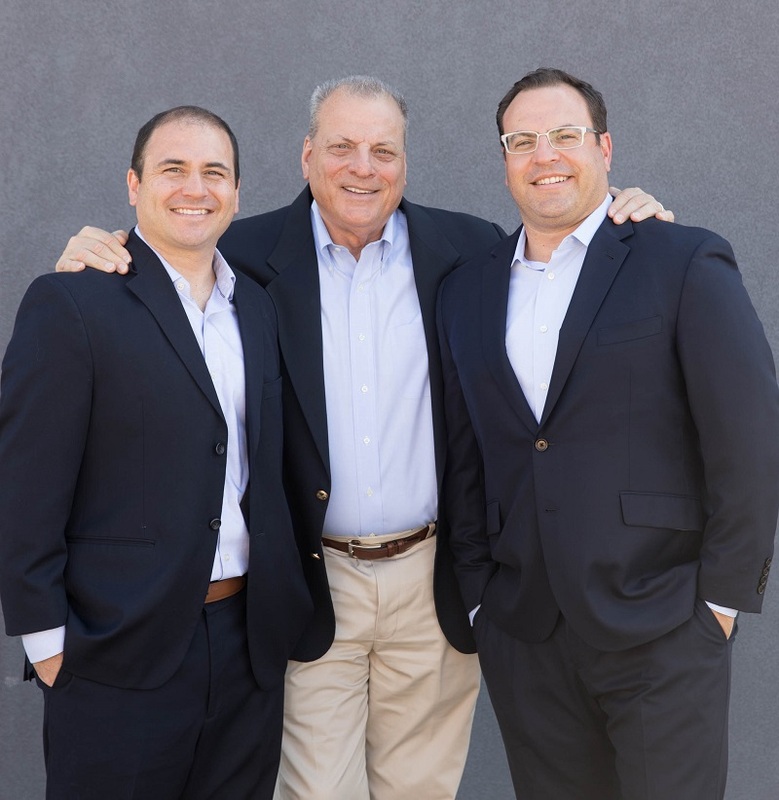 Paul is proud to be followed in the business by his two sons who will take the company to even larger successes in the next four decades. When not in the office, Paul enjoys going to the movies, plays and concerts. Paul also loves to travel to far off places with his wife, Susan. He also recently became a grandfather and is looking forward to teaching his two granddaughters and grandson the art of negotiation. Adam leads Geltmore in its office and industrial pursuits, along with managing the legacy assets in the core portfolio. Adam is also charged with focusing on the firm’s strategic initiatives, acquisitions, financing, and new capital relationships. Additionally, Adam is responsible for brokerage and customer relations, marketing activities, as well as facilitating lease transactions. 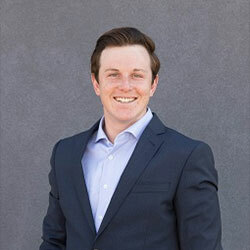 Prior to joining Geltmore in 2015, Adam spent 13 years in commercial brokerage in Southern California working with Strata Realty, Inc. During his tenure at Strata Realty he was one of the top producers at the firm and personally completed over 390 sale and lease transactions totaling approximately 3,000,000 square feet. The total transaction value of these efforts was just over $105,000,000. Adam, a native New Mexican, holds a Bachelor of Arts Degree in History from the University of Colorado at Boulder. Adam’s career in commercial real estate has been defined by his business acumen, loyalty, and commitment to the craft. He is member of NAIOP and also serves on the Board for the Albuquerque Bio Park- Botanic Gardens, is a graduate of the Leadership of New Mexico-Connect Program, and has served on various real estate committees for local non-profits in Albuquerque. When not in the office, Adam appreciates being in the outdoors enjoying the New Mexico landscape with his wife Nikki, and two daughters Ava and Scarlett. 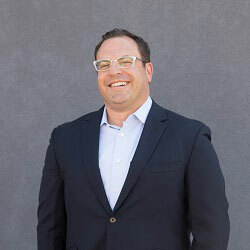 David leads Geltmore in its retail development pursuits and Downtown Albuquerque revitalization efforts. He is responsible for marketing space within the existing Geltmore retail portfolio, and facilitating lease transactions. David is also charged with structuring joint venture partnerships, arranging financing, and coordinating development and redevelopment activities. 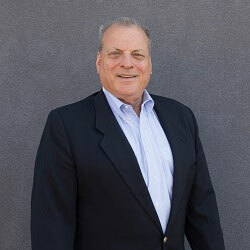 Prior to joining Geltmore in 2012, David was at Flocke & Avoyer Commercial Real Estate in San Diego, CA. While at Flocke and Avoyer, he was the exclusive leasing agent for retail centers throughout San Diego and Riverside Counties, owned by both institutional and private clients. He was also active in retail tenant representation as well as NAIOP Developing Leaders and Big Brothers Big Sisters of San Diego County. Born and raised in New Mexico, David holds a Bachelor’s Degree in Business Administration with an emphasis in Marketing from the University of Colorado at Boulder. 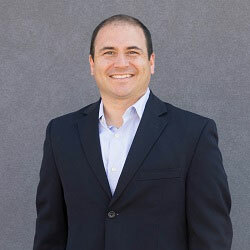 David is a licensed New Mexico real estate Broker and holds a CLS (Certified Leasing Specialist) designation from ICSC. He takes great pride in being a steward of his community and serves on the Board of NAIOP NM, Albuquerque Community Foundation Future Fund, Downtown ABQ Main Street Initiative, Organizing Committee of SOMOS ABQ, and is the Co-Chair of MiABQ. Outside of the office David enjoys spending time with his wife Shelley and their son Morris, skiing at Taos Ski Valley, and traveling near and far. Kalvin leads Geltmore in its mixed-use, adaptive reuse, and multifamily development pursuits, with a focus on transit oriented development. He is also Geltmore’s Associate Broker, assisting Adam and David with marketing space and lease transactions. Kalvin is a young professional that is continually learning by being actively involved in each step of the development process from preliminary entitlements, to budgeting, financing, and coordinating with architects and contractors. Born and raised in New Mexico, Kalvin holds a Bachelor’s Degree in Business Administration with an emphasis in Organizational Leadership from UNM along with his Master’s Degree in Planning. He takes great pride in representing his home state and has deep connections to the cycling community. Kalvin has been actively involved in the local non-profit Duke City BMX since he was a young teen, he serves on the Committee and is the lead social media administrator along with being a coach to beginner riders. Kalvin participates in BMX racing to this day and has been successful on the national race circuit for years, as well as internationally, having placed 3rd in the World Championships in 2014 and 4th in 2015. Outside of the office, Kalvin enjoys spending time with his wife Tracy and their dogs Zeus and Yoda, visiting and exploring new cities, riding and jumping his bike, snowboarding in deep powder, and off-road rooftop camping.